If you own a pet and haven't been to any pets fiesta, I highly recommend you to head down to the Nee Soon GRC Pets Fiesta. I am pretty positive you would enjoy it. We have so much installed for you and your special friend. I’d imagine our pets will be having as much fun as we will be, if not more, from all the friends making, treating, pets activities, visiting pets bazzars, adoption drives, pets competitions and much more. Love pets as much as we do? 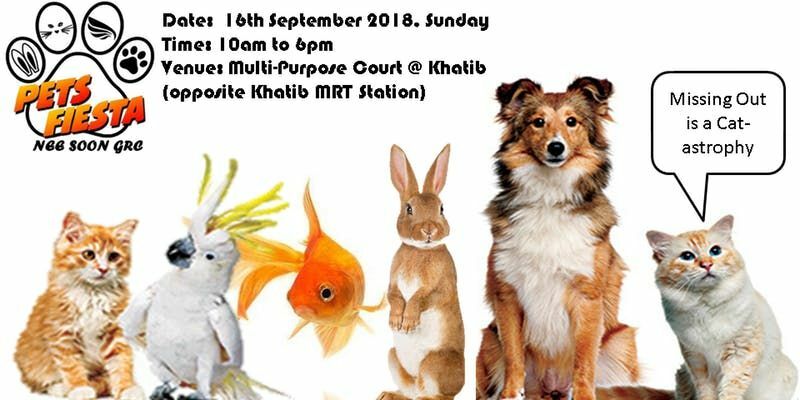 Well it is time to flaunt your PETriotism at the Nee Soon GRC Pets Fiesta 2018!